Finally, the new "G37 Coupe" is almost here. 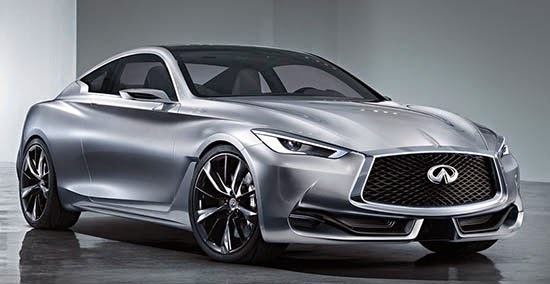 Infiniti has already said the concept will be "very, very close" to the production model. So basically, smaller wheels, real door handles and maybe a toned down lower bumper. Seems like a good looking car so far, if a bit busy. Infiniti needs to kill that weird "signature" rear-side window design. It is ruining every new model. Front end is a huge improvement! I don't see anyone being overly enthusiastic about this one, at least immediately. It's rather sleek, but the grill is just so... dominant... so... in your face. I think it could be nice, but it probably needs reworked a bit. Good looking car? You're surely joking, right? For the first time, I can see a design that screams premium from Infiniti(at least in pictures.) The rear should be adopted by the sedan. However, I am curious how the grille will look in person, because the one in the sedan looks kind of funny with the sloping front. I hope they will adopt proportional and good looking wheels like these, cause when the Q50 wears the base wheels it looks like an econobox.